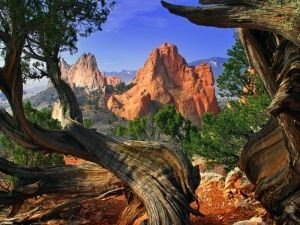 Colorado Springs is one of the most beautiful places in the U.S., boasting mostly preserved natural beauty. The city is located in the central part of the U.S. state of Colorado. Colorado Springs is located at approximately 1600 meters altitude. The city is nestled between the mountains Pikes Peak, Cheyenne Mountain and the Rocky Mountains. Wherever you look, all you see are just beautiful hills. Colorado Springs was founded in the summer of 1871, by the civil war General William Palmer. Today, at the Palmer School is situated a magnificent monument of the historical figure astride his horse. Ten years after its creation, the city was called "Little London", because the structure and architecture of the new American is city much like the British capital. Today the old buildings and city halls are located in the old part of town – the Old Colorado City neighborhood. Colorado Springs is the most populated city in El Paso County. Its inhabitants are 416 000 people. It is only 100 kilometers from the capital of Colorado - Denver. In Colorado Springs is the esteemed U.S. Air Force Academy, which is a symbol of the city. In the prestigious institution is the Cadet Chapel. The Academy is open to guests of the city, provided they comply with established rules. Admission is free. 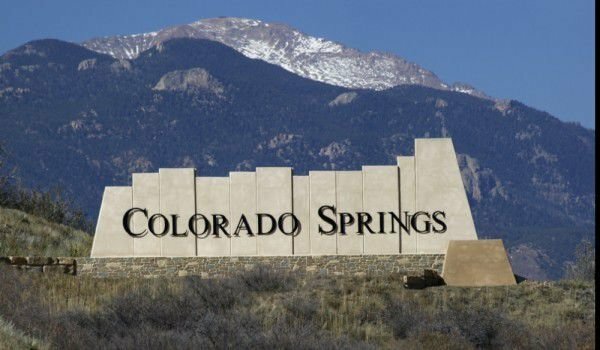 Colorado Springs has a long tradition in defense and security. On its territory there are many military bases and training fortifications. The city also prides itself with its preserved cultural traditions and developing arts. One of the contemporary cultural centers and city landmark is the Fine Arts Center of Colorado Springs. There are several museums that are of interest to residents and of course especially for guests of Colorado Springs. These are the Cheyenne Mountain Heritage Center, ProRodeo Hall of Fame, Museum of American cowboys and pioneers of the Museum of Colorado Springs. The city is also home of the American Numismatic Association Money Museum, and the Peterson Air and Space Museum. The "Garden of God", located on the outskirts of the city is an incredible landmark that you should not miss to visit. The famous red sandstone cliffs, towering proudly around town will surely stop your breath. All this is combined with the crystal blue sky, amid which the beauty and grandeur of these rocks is even more remarkable. Another natural wonder of Colorado Springs is called the "Caves of the Winds". They are located underground and date back 500 million years. The fee for access to the caves is between 9 and 22 dollars, depending on which route you choose. At the foot of the mountain Cheyenne in Colorado Springs is located the zoo, where you will have the unique opportunity to caress or feed the animals. Furthermore, to be closer to the wild world, visit the park and you will find great views of the city and its surrounding natural beauty. Tickets for the zoo are between 7.25 and 14.25 dollars. In the canyon is located the "Seven Falls", which actually represent a picturesque cascade. The waterfalls are even more impressive at night, thanks to special lighting. The fee for access is from 5.75 to 10.75 dollars, depending on the time you visit the attraction.